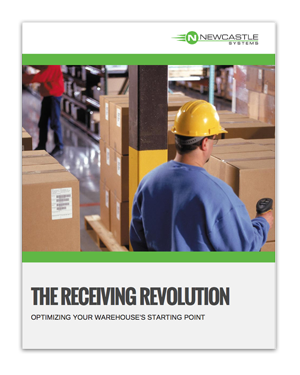 Receiving is perhaps the most important process in the warehouse - all downstream processes depend on the accuracies of data entry and labeling during receiving. Watch the video above to see how easy mobile power can be integrated into your receiving process. 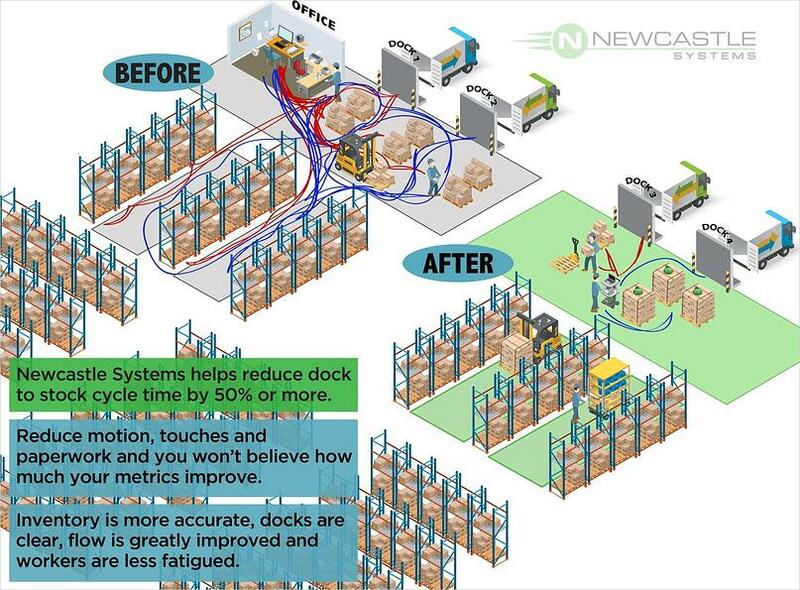 Click the spaghetti drawing below for a closer look at how this warehouse was able to reduce dock to stock cycle times with mobile power! 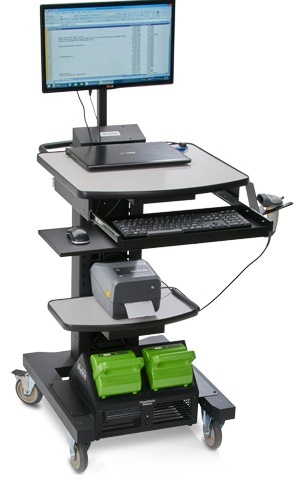 These stations take your devices that require AC power and put them on wheels - making your workplace fully mobile. 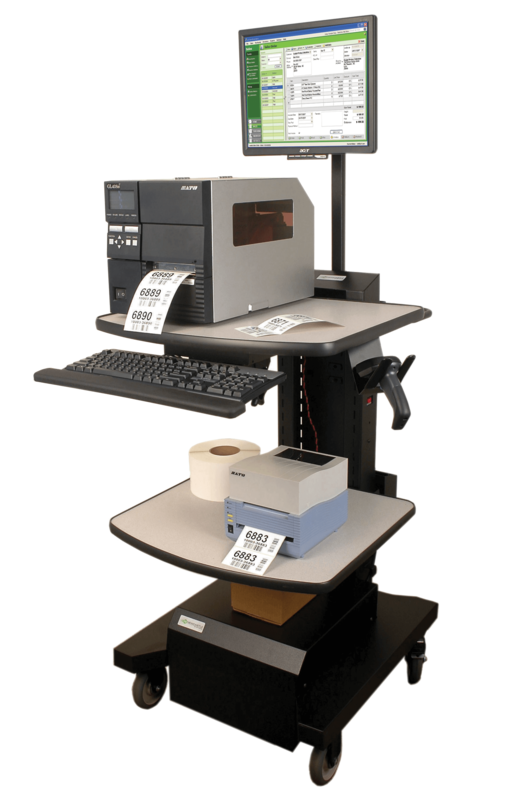 Process paperwork, print labels, etc. directly at the pallet or load. All that is required is wifi and hard smooth floors in your warehouse.